Seaplanes, which are also known as floatplanes, are a way of life in Maine. It’s how fishermen, hunters, and tourists get around the northern part of Maine, and they are often the only way to reach remote camps and resorts on the thousands of lakes and ponds that dot the state. From the organization’s website, here is some history. “Today, besides the Cessnas, Cubs and Beavers, some spectacular examples of rare planes make a showing. Those have included a traditional 1944 Grumman Goose. It is not unusual to see a Caravan or two, as well as many classic and experimental seaplanes. 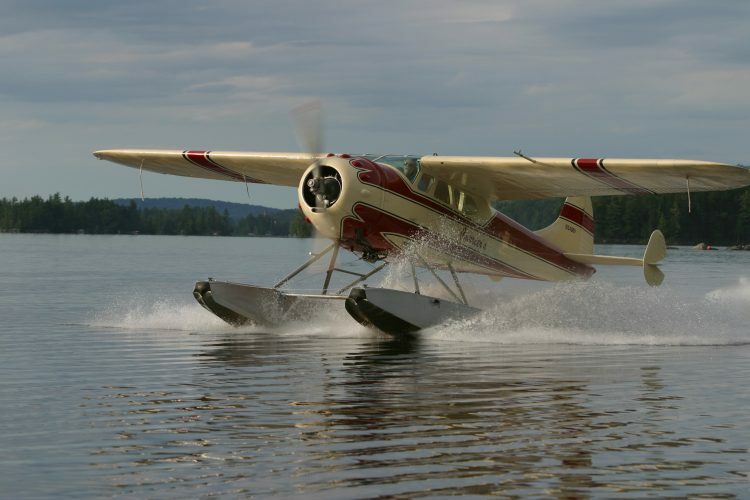 This world of planes and pilots is celebrated at the 45th annual International Seaplane Fly-In on the shores of Moosehead Lake from September 6-9, 2018. Close to 200 aircraft are expected at this year’s event, where pilots get a chance to show off their skills and fans can get up close to some rare vintage aircraft. Go to the International Seaplane Fly-In for more details.